TravStar1 Point Of Sale SystemManager's Work Station Advanced Pricebook ManagementHow Do I Send Mix Match Files to the Register? 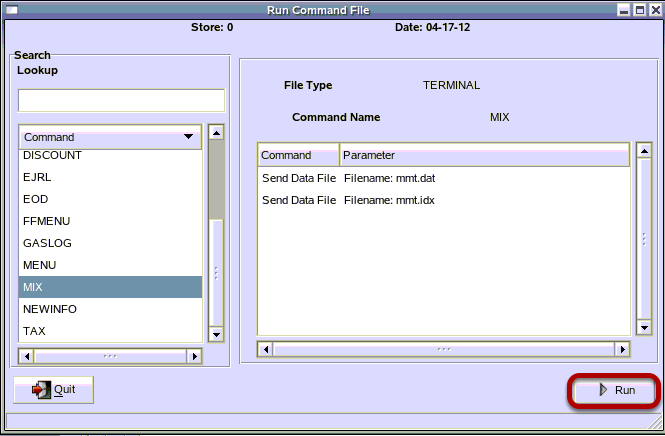 This lesson will teach you how to send the Mix Match file to your registers. From the Main Menu, click on "Operations". In the Operations Menu, click the "Send Command Files" button. 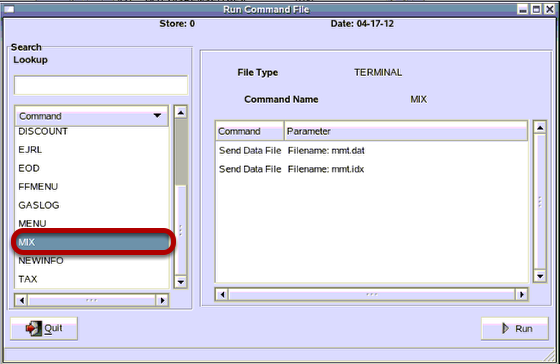 In the Command list drag the scroll bar until you see the MIX command. Click on MIX to highlight it. 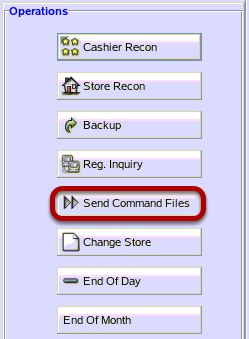 1) Click on the down arrow to select which register you are sending the file to. It is best to send the mix file to 1 register at a time and allow it to send completely before sending to another regsiter. 2) Click the "OK" button. 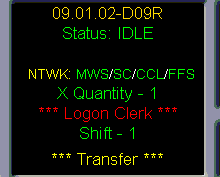 The "Transfer" message appear in the top middle of the screen where the date and time normally appear. Prev: How Do I Setup a Mixed Price Quantity Discount? Next: How Do I Apply a Mix Match Code to a Single Item?